KATHMANDU, Feb 12: Rastriya Prajatantra Party (Samyukta) Chair Pashupati Shumsher J B Rana has claimed that both the government and the opposition have become unsuccessful. “The government and Nepali Congress both have failed. 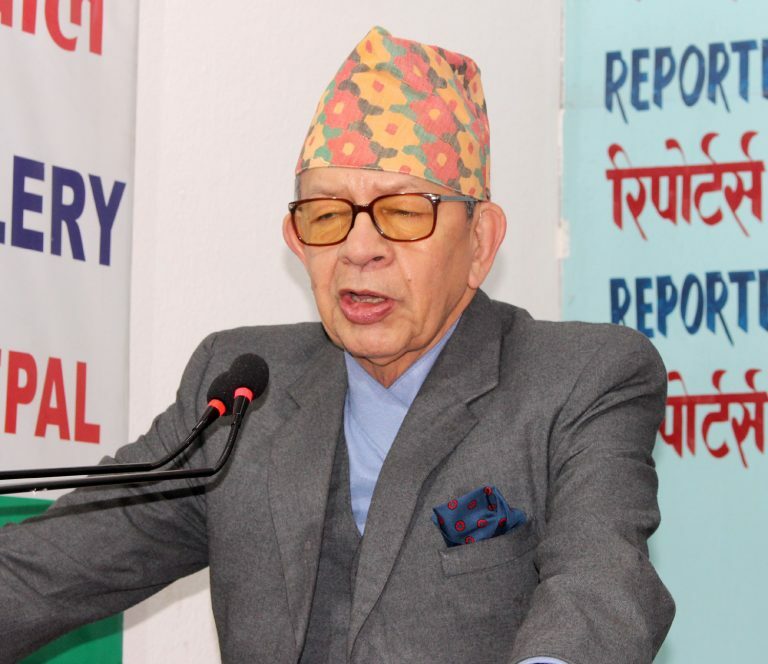 They have failed to utilize the opportunities in interest of people and the country,” said Rana at an interaction program organized by the Reporters’ Club Nepal on Tuesday. “The government is stable now. But, they have achieved very less during their one-year period,” he added. He also accused the incumbent government failing to control corruption. “Oli said that he would eradicate corruption from the root. But he has failed to put his words into action. Billions of rupees was misappropriated while procuring two wide-body aircrafts,” said Rana. He also said that the incumbent government has failed to maintain balance in diplomatic level. “Nepal Communist Party Chair Pushpa Kamal Dahal’s statement on the US intervention on Venezuela political crisis has strained the diplomatic ties with the US,” he said. “The government had no rush to speak on the Venezuela issue,” he added.